GtR is doing an add share with a fellow forumotion forum! As such, feel free to check them out! Campbell County is a Christian message board based off the hit radio drama Adventures In Odyssey. Campbell County, or CC as we sometimes call it, has features like a shop, an ads section where you can advertise your topic, great discussion sections, and also some great events. If you like good clean fun, then Campbell County is the place for you. Forum's Purpose: It was a One Piece Role-Play Forum. You can create your own characters, custom weapons, custom devil fruit, and join a crew or start one! When you're in a crew, you'll have fun sailing around in the dangerous sea that people find it hard to survive. On the dangerous sea, there's only two possibilities, will you Rise, and getting stronger, making name for yourself? Or will you end up Falling apart and vanish from the world forever? It's for you to decide...Rise or Fall. 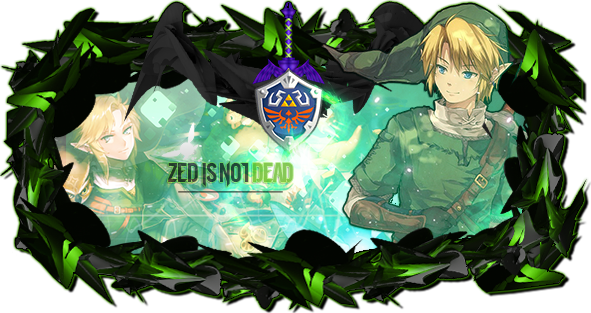 Credit to the banner artist--who gave me permission to use his wonderful art for our banner! Xeno Underground has a Xenosaga RP going on! Lost Jerusalem, now called First Jerusalem, has finally been found. The replacement of the U.M.N., the Universal Scientia Network, has been completed and is now making attempts to expand across the universe. And things seem to be going well. This is a fantasy roleplaying website, and GtR's newest affiliate, the founder being The little Vixen herself!! This site takes place on the planet of Solitude, where most find their way to looking for a peaceful existence from fugitive life or just a fresh start. This planet has no orbit, drifting aimlessly. Environments range from small villages to large technologically advanced cities, from deep forests to vast deserts. Solitude is naturally warm and has week-long nights until they pass the nearest sun. For anyone interested in a moderator position (cuz lord knows I need the help) feel free to register and let me know! I'm Ana Bravo! We, as a community, have much to offer our new members. As this site is a non-canon site, we offer the ability to create and craft your own destiny for each of your character. With our evolving and ever changing site, we promise new adventures for all users no matter the rank. Here, we concentrate on not only having fun, but also in expanding character development. If you happen to miss one of our event, don't worry as we strive to keep our events continuous as well as enjoyable for all our members. We offer limited positions such as Legendary Slayers, various Lacrima Usages, and several Guild Master Positions. We would like to expand our already well active community to help keep all users in the game as well as release more opportunities for the site. Finally we offer the ability to test your skills in new adventures thus leading onto new quests and jobs that allow you to meet new people and discover new things. Not to mention the wealth you get from it as well. 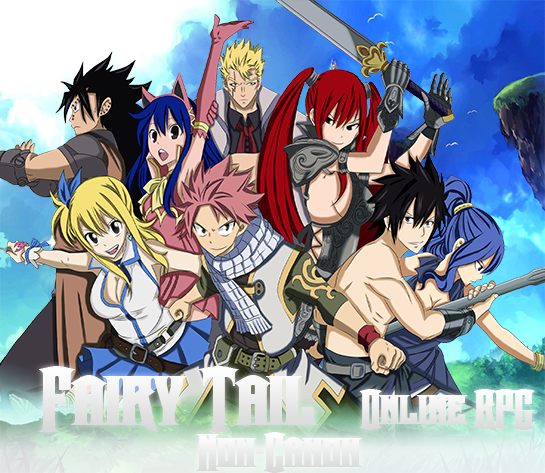 Join us at Fairy Tail Online where adventure awaits! Our journey begins right before the site's first event, Dawn of the New Era. Fiore, without a doubt, was on the verge of expanding its horizons and creating about a new frontier when chaos erupted. For, unbeknownst to the world around, the Magic Council had been infiltrated by members of the dark guild Animus Sin. The guild's goals? To overthrow the Council and bring about a new world order, shaping it to their image. They would have been successful if not for one of the Magic Council members. Janet, the leading Chairman of the Council, had grown suspicious after having experienced mysterious disappearances and edits to various documents. It was not long before she began to follow the skillfully hidden trail left behind by the dark guild. Yet, it was only to discover that here was no one she could trust. The influence of the guild had grown too deep into the veins of the Council. Even so, with no thought of letting Animus Sin continue on with their plan, she went about to set a trap. Having planned to lure the dark guild from hiding, Janet created the perfect scenario to ambush it in the city of Era. When the time came, Animus Sin did as she had expected, but they had been prepared. From what had seemed to be an easy ambush, turned into a full scale war between the Magic Council allied with the Rune Knights and the underground society known as Animus Sin. With not much hope left for the Council, Janet proceeded in an emergency summon of the light guilds but, as history would have it, the Magic Council had fallen before help could arrive. The arriving light guilds rapidly allied and fought off against Animus Sin. Yet, it was only to discover that the dark guild had had a trick up their sleeves. Tartaros and Behemoth immediately joined in the war thus erupting Fiore into a world of chaos and despair. With both sides unwilling to give up, the war expanded thus spreading across the various regions of Fiore. The war seemed to have no end until the guilds began to fall one by one. 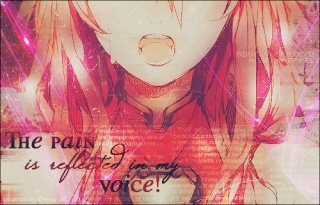 Right after another, guilds, members, and civilians began to feel the pressure and witness severe casualties and losses. Lamia Scale, being the smallest of the guilds, quickly fell victim to Behemoth's might while as Blue Pegasus was obliterated by the will of Tartaros. Fairy Tail and Sabertooth teamed up and, with their combined strength, completely wiped Tartaros to the ground. Meanwhile, Animus Sin was facing off the remaining troops. After what seemed to expand an eternity, the battle slowly seemed to shift towards the dark guild's favor. The Dawn of a New Era Arc: The Dawn of a New Era picks up in the aftermath of the Magic Council's destruction at the hands of Animus Sin, whom collapsed after their failed attempt to conquer the Continent of Ishgar. This arc sets the stage for the site, as a new type of Magic Council is formed, as are Alliances between the Independent and Dark Guilds of the world.